Children must be four (4) years of age by August 15, 2017 to attend our Pre-K programs for the 2017-18 school year. Pre-K classes for 4 year old students that meet income qualifications are currently located at Roosevelt, Lincoln, Kennedy, Johnson and Palmer. HeadStart Collaboration classes at V.O. Dobbins (3 classes). Early Intervention Program (EIP) at Palmer (3 classes), Kennedy (1 class), Washington (3 sessions), and Roosevelt (1 class) for students that are eligible for special education services beginning at age 3. Children who qualify as economically disadvantaged per the Income Eligibility Application below and income guidelines set by the Federal Department of Health and Human Services have priority for placement into our Pre-K programs. For more information, call the Palmer Early Learning Center at (423) 378.2160. Pursuant to TCA 49-6-101, at-risk children, those identified as economically disadvantaged, must be enrolled before any other children in Voluntary Pre-K class settings. 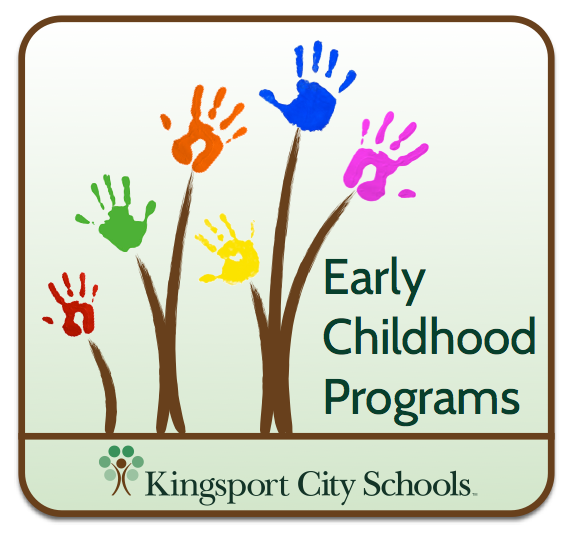 Kingsport City Schools adheres to the requirement as stated, which requires the LEA to maximize the enrollment of the at-risk child but to also serve the under-served child, as space permits. Pre-K screening is announced via several communication outlets (i.e. newspaper, website, social media channels including Facebook and Twitter, printed posting using screening flyers at school sites and in the community) and is usually held in March. Placements are only made to students who qualify based on income guidelines and live in the city as a resident of Kingsport. Students that qualify based on income guidelines are given first priority for placement per state guidelines. Students that qualify based on income will be placed by zoned school according to confirmed residence, provided the zoned school has a Pre-K class. If there isn’t a Pre-K class at the zoned school, the students are provided the nearest location to the extent possible. Once screened, families of students that qualify are informed of a registration date by letter. The registration is conducted to ensure that families submit all required enrollment documentation, as well as to orient the parent to the fundamental requirements for participation in the program. When all students are placed that qualified financially, the next priority for placement is screening score. Students that did not qualify financially will be placed based on lowest score, when spots are available, at the closest zoned school. If the wait list is exhausted with placements for income and screening score and an opening arises in a classroom, this opening will be filled from the wait list based on income and location (i.e. opening at Johnson, student with lowest income will be placed from the wait list with a Johnson-zoned residence). Note: All students screened that are not income qualified will be placed on the waiting list. The coordinator determines income eligibility and sorts students by income qualification first, then by screening score if student doesn’t qualify. If a parent requests a specific program or location at the screening, it must be in writing and there is no guarantee of placement. We will look at each request and consider it on its individual merits. The director will decide if the request can be honored, only after income-based placements are made.